Approximately 21" high. High fired bisque. Beauty and grace of flowing symmetry fills space with her aesthetic presence. 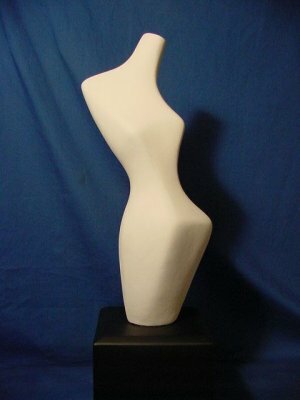 The Free Form sculpture is a creative awareness exercise that cultivates a more receptive mind sensitive to imagery, fantasy and ideas. It is an abstract language in which our imagination speaks.